Unfortunately, at this time, we only have a limited supply of 1" Dbl. Screw 3/4 offset, 1" UltraLite 3/4 offset, and 30mm UltraLite 3/4 offset rings in stock. This notice will be updated as conditions change. 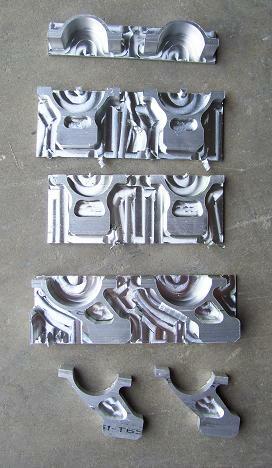 Randolph Machine, Inc. precision machines scope rings on CNC machining centers to exacting tolerances. We cut the dovetail on our rings to fit either a 3/8 inch or 11 millimeter dovetail. Of the two mounting options, there are two tube diameter options - 1 inch and 30 millimeter. Ultralite Scope Rings are single screw tube mount rings-safe only for rimfire shooting. The two diameters are offered in two styles-a straight ring and an offset ring. 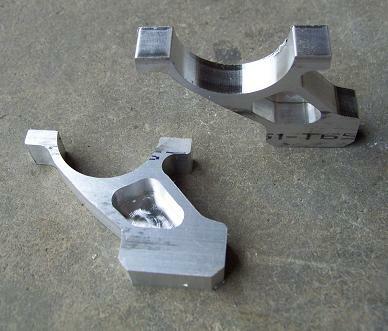 The straight rings are machined to weigh 1 ounce or less, while the offset rings are designed to weigh 1.25 ounces. Offset rings are set to the left or right by 3/4 of an inch; this helps benchrest shooters keep their head off of the stock. At this time Randolph Machine, Inc. only offers the double screw ring set in the offset manner.